Exporter of a wide range of products which include bullet probes instrument, ss chain mail gloves, six position plastic headrest, osteometric board, post mortem instrument and anthropometric rods. Used for tracking bullet path and angle of entry in gunshot wounds. Soft and smoothly finished surface to avoid injury and facilitate smooth movement. Comes in a standardized set of three viz 22 caliber, 38 caliber and 45 caliber. 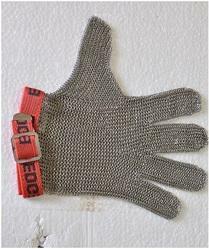 Complete stainless steel gloves made up of chain mail of individual interlocked stainless steel rings thus completely retaining the sense of touch while protecting the hands from any injury. Velcro wrist – lock holds the glove tightly to the hand. Provides six different positions for head & limbs. Made of stain resistance waterproof material. 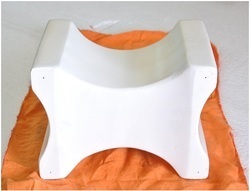 Standard size 20X14X15cm, can be customized in sizes. v For measurement of Bone length of large bones like TIBIA & FEMUR. v Available in stainless steel and wooden. v Measurement upto a length of 2 ft.
We make available for our clients a supreme quality range of Post Mortem Instrument, as per their requirements. These products are developed by employing latest technology and high grade raw materials. 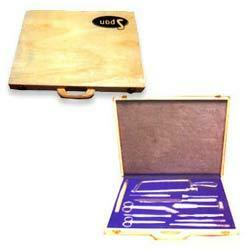 Our product range is is provided with a complete Post Mortem Instrument set which are precise, efficient, anti-stain. These are manufactured as per the international standards and norms and are highly appreciated for accuracy and efficiency. We are the leading manufactures and suppliers of Post Mortem Instrument in coimbatore,Andhra Pradesh,Arunachal Pradesh,Assam,Bihar,Chhattisgarh,Goa,Gujarat,Haryana,Himachal Pradesh,Jammu and Kashmir, Jharkhand, Karnataka, Kerala, Maharashtra, Manipur, Meghalaya, Mizoram,Nagaland,Odisha,Punjab,Rajasthan,Tamil Nadu,Telangana,Tripura,Uttar Pradesh, Uttarakhand,West Bengal,Andaman and Nicobar Islands,Chandigarh,Dadar and Nagar Haveli,Daman and Diu,Delhi,Lakshadweep, and Pondicherry. Used for vertical and horizontal measurement of long bones at the same time. Consist of a set of four long and two small rods. 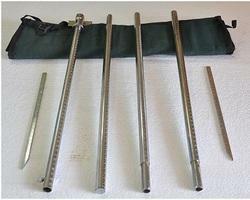 Four rods attached at exclusive points to become a single rod to measure upto 200cm lengthwise. Two small rods facilitate to clamp the bone and measure breadth wise at the same time upto 25cm. Chromium plated brass rods with smooth finish, movement and clear markings. Looking for Post Mortem Instrument ?